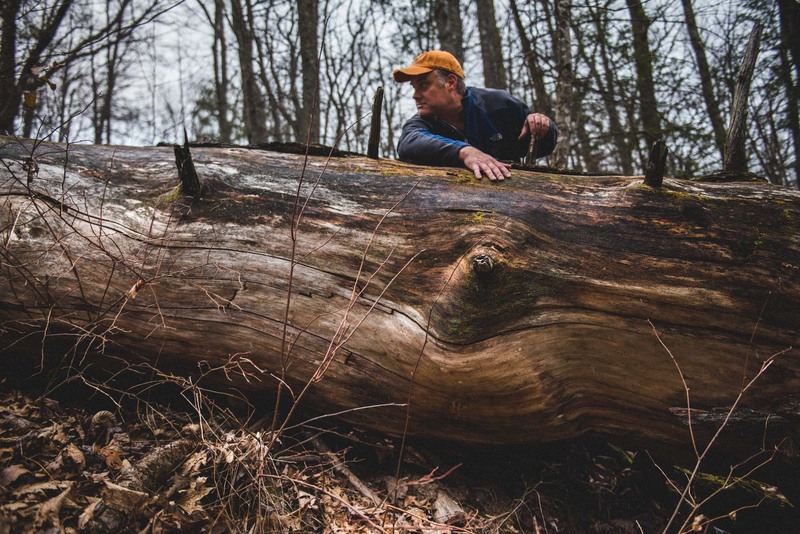 Photographer Tommy White with a fallen Eastern Hemlock near Grandfather Mountain. Tommy had led me to this grove where he saw living hemlocks years ago. Now they are nearly all gone.